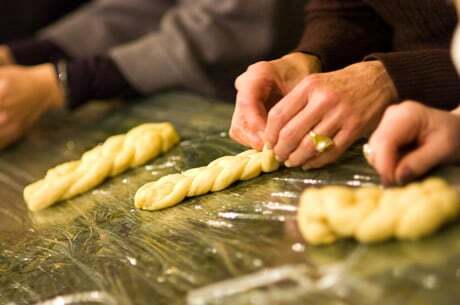 Come and bake your own traditional Challah for Shabbat. Learn - the secret to great tasting Challah. Discover - the beauty of this tradition, unique to woman. Create - your own Challah. Pray - the sages say that this is a most powerful time for a women to ask for all the needs for herself and her family and friends. Share - the gift of Shabbat, warmth and great taste with others. 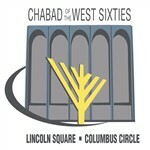 Think Chanuka is only about jelly donuts, potato latkes and chocolate coins? Think again! Join us on December 3rd, as we watch the author of the food blog The Rosiest Cheeks, Chana Marinovsky, turn everything that we think about Chanuka - well, a lot more colorful. From cocktails, to appetizers to a few healthy version on latkes, this cooking experience will have you showing off all your new skills and recipes for 8 whole days. RSVP link to be posted shortly. On April 7th, come and join the famed Busy in Brooklyn blogger as she demonstrates how to put a modern twist into our traditional Passover cooking. Learn amazing new holiday recipes that your family will not believe are kosher for passover! Chanie Apfelbaum is a food blogger, recipe developer and food photographer who blogs about her cooking adventures at www.busyinbrooklyn.com. She combines her love of food, family and tradition to create fun and original dishes that your whole family will enjoy. Our first Challah bake is Oct 14th! Email us to RSVP - space is limited.